One act of passion can save the world...Scientist Alexandra Madison was on the verge of unveiling an invention that would change the world. Then her partner was murdered, their lab was burned, and their prototype was destroyed. While Alex is in the hospital recovering from burns suffered in the fire, recurring dragon-haunted nightmares threaten to land her in the psychiatric ward, but she knows she has to escape to her lab to rebuild the Green Machine.Handsome, daring, and impulsive, Donovan Shea is more than willing to do his part in the Pyr/Slayer war. Assigned to protect Alex, Donovan is shocked when her presence ignites his firestorm. He has no desire for a destined mate, but Alex's intelligence and determination inspire him to join the fight to save her invention. With the Slayers closing in, Donovan knows he would surrender his life for Alex...and lose his heart to possess her. Alex, has worked very hard to make the “Green Machine” happen, but then one tragic night, her lab is destroyed, and her partner tortured and then killed. 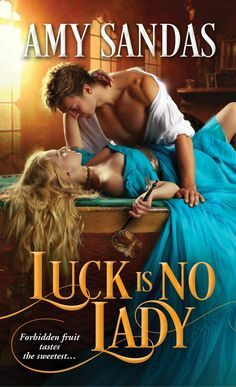 She finds herself in the hospital, having dreams of Dragons, and then she finds herself being kidnapped by a breathtakingly handsome man where sparks happen whenever they touch. When she learns that he is a Dragon Shapeshifter, she is shocked, and can’t believe that such things are real. Alex is stubborn and is desperate to make the Green Machine become public known, but only with the help of Pyr, will she be able to make her dreams come true….and to hold onto a man who has stolen her heart…. When Donovan Shea learns that Alex is his ‘Firestorm’, he is furious with those that knew and didn’t tell him. Now he has a woman that is always leaving him and his protection to retain information that is vital to the Green Machine. Donovan is a loner, and even though he is loyal to the Pyr and fights side by side with them, he knows who he really is. So at first he denies what he truly feels for Alex, but then he comes to the point where he doesn’t know if he could let her go, because she has stolen her way into his heart. Alex, has devoted her life to the coming about of the Green Machine. When she see’s her lab destroyed, and her partner and friend killed brutally, she doesn’t know if she will be able to surving the coming storm. At first she wants to be indepenent and do things on her own, without the help of a alpha male who, it seems, is always furious with her. But a passion ignites and she only wants to surrender to the storm…. I was looking for something new and different, a author I hadn’t read before, and I came across Deborah Cooke. I have a weakness for dragon shifter romances, so I knew when I read the blurb, I had to try it out. I have found a new favorite author. I just loved everything about this book, although I thought Alex could be too stubborn for her own good, and kind of an idiot thinking she can protect herself against dragons. But I really enjoyed the blossoming romance that develops between Donovan and Alex. There was a unique quality about the plot and the way this author weaves a beautiful story of adventure, passion, and love. I really loved Donovan, he seems so like a man of steel, but I just loved seeing how he weakens toward Alex and the way he treats her is so precious. I also enjoyed getting to know the other Pyr members, and I can’t wait to read more books from this author. A WINNER!!! Deborah Cooke also writes under the names Claire Delacroix and Claire Cross. Deborah was the writer-in-residence at the Toronto Public Library in 2009, the first time TPL hosted a residency focused on the romance genre, and she was honored to receive the Romance Writers of America PRO Mentor of the Year Award in 2012. She’s a member of Romance Writers of America and of Novelists Inc. Currently, she’s writing paranormal romances as Deborah Cooke, and medieval romances as Claire Delacroix. Deborah thinks a lot about publishing and writing, and also knits too much.